On busy days, I count on being able to pull a few things out of the freezer and making a quick meal with them. We keep our freezer stocked with meat analogues and frozen vegetable mixes for such occasions. In the years I've been a vegetarian, I've tried many mock meats. Many of them are too chewy and have very little flavor, leaving a lot to be desired. Our Target store recently started carrying groceries, and that's where my husband discovered Gardein products. Our favorite so far is the Mandarin Orange Crispy Chick'n, the star of this fast and easy fried rice meal. This meal is ready in about 20 minutes and serves 4. Cook Gardein Chick'n according to package instructions in a wok or large frying pan. 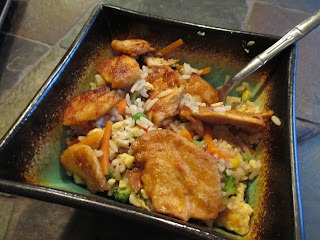 While Gardein Chick'n is cooking, microwave the rice and veggie blends according to package instructions. 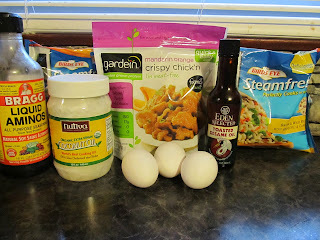 When Gardein Chick'n is done, remove from pan (I put mine in the toaster oven on the warm setting to keep it warm). 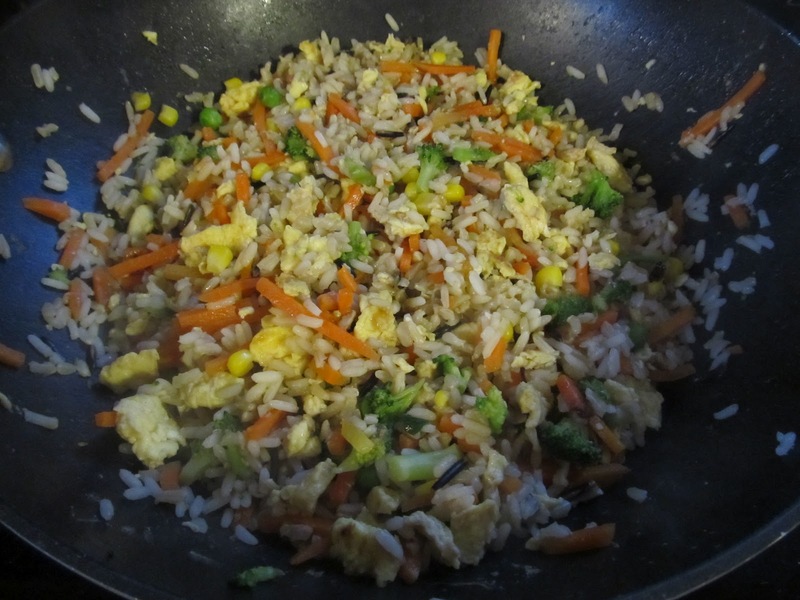 Whisk the eggs together in a small bowl and scramble them in the wok or pan. 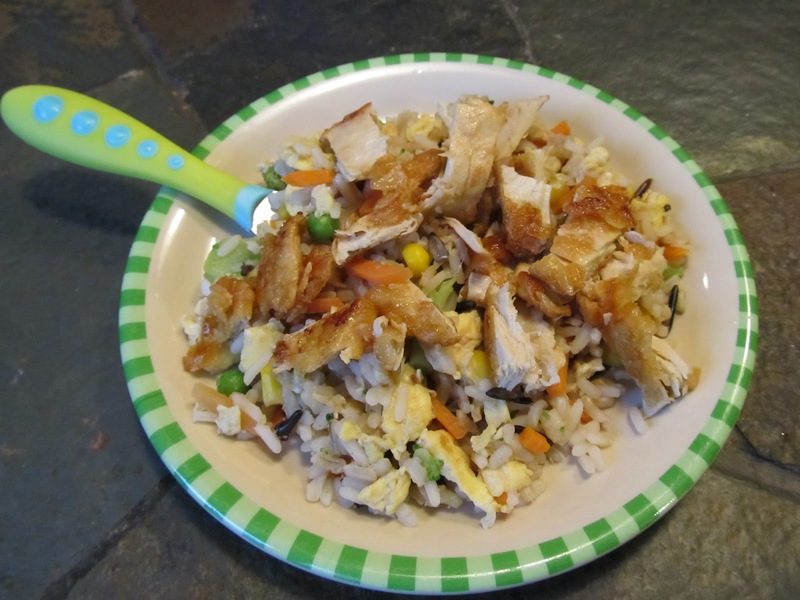 Add both packages of rice to wok/pan and toss with eggs. Fry rice mixture, tossing/stirring occasionally for several minutes. Serve in bowls or on plates and top with Gardein Chick'n pieces. This looks delicious. I might put it on next week's menu plan.